How Important is Dental SEO to the Success of Your Practice? Underestimating the power of dental SEO can seriously hurt your business in the long run. Many offices, especially those that only cater to a small town or part of the city, start to believe that they do not need to worry about search engine optimization, that they have already reached out to everyone they need to reach out to, and that anyone who needs to visit the dentist already knows about them. Dentistry may be a service that people will always need and will always be actively seeking out, but, especially if you do have competition, hoping that those people will stumble across your office usually means that you are going to end up losing to that competition, who probably are already building a solid SEO campaign. How does dental SEO improve your business? It is really that important for you to have a search engine optimization strategy? 1. SEO is the new Yellow Pages. When our parents wanted to find a local business, before the age of the internet, they would open the locally distributed yellow and white pages, flip to the correct section, and look at the businesses listed there. Just about no one does that anymore. While it might still be valuable to be listed there for the few people that still use the yellow and white pages, far more people take to the internet, open a search engine, and type their search query into the bar. That means that if you want the exposure that a dentist office used to get from being listed in the yellow pages, you need to have an effective SEO strategy. 2. SEO works better than just about any advertising campaign. More than half of all of the new patients you acquire are going to be acquired through listings in organic search results. If your office’s website does not have a listing in the organic search results, that means you are missing out on more than half of your potential patients. Most dentist offices do have some sort of advertising campaign, enabling them to reach out to new patients and to retain previous ones. If you want to reach out to as many people as possible, dental SEO is your best bet. 3. You already know you need to be constantly cultivating new business. 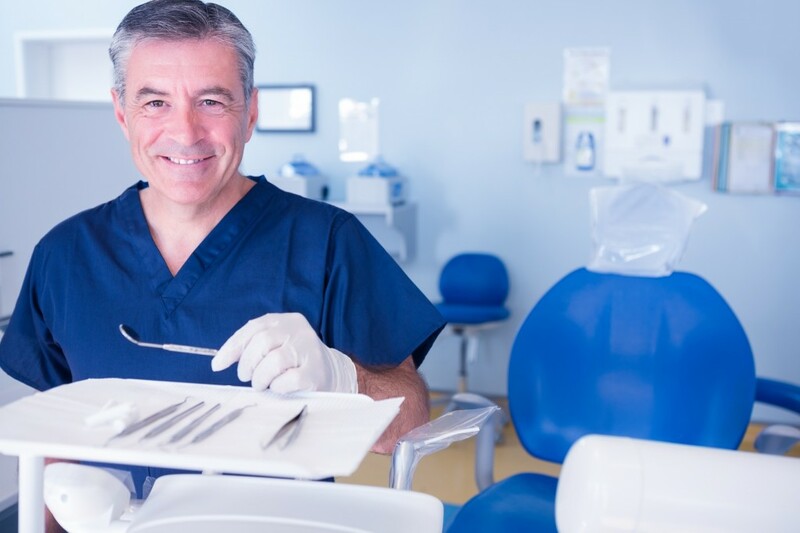 While it is much less expensive to hold on to the patients you already have, the nature of dentistry is that some patients simply stop going to the dentist. To replace the revenue lost when you lose a patient, you need to be looking for new patients. SEO is the best and most effective way to do just that. 4. SEO can also help you hold on to current patients and to reengage with patients that have not made an appointment recently. One of the biggest challenges a dentist office faces is holding on to their current patients. It is almost too easy to miss an appointment and then to forget to make a new one. Search engine optimization can actually help you reengage with these patients. A big part of search engine optimization is putting out valuable, informative content that people looking for information about dentistry or even just a specific procedure will find interesting. And the better your content is, the more authority your office will have, making it more likely that patients will trust you and schedule an appointment. 5. SEO is an inexpensive solution. Especially when compared to other types of advertising, search engine optimization is a very inexpensive way to draw new people toy our office. It is cost-effective, with one of the highest returns on investment of any marketing campaign. Especially when combined with PPC, it can be a very good way to direct attention to your website, without having to spend a lot of money for that attention. 6. SEO boosts the efficacy of every other advertising endeavor. If you are using other advertising methods, search engine optimization can make them more effective, especially when it comes to offline advertising. If someone sees an advertisement for your office in the newspaper, on a bus bench or billboard, or in the pre-roll advertisements at a movie theater, for example, they will not have a direct link to click on in order to go to your website and contact you. Instead, they will type a search term into Google to try and find you. An active SEO campaign will make you easy to find. It also boosts and is boosted by PPC, social media campaigns, and more. In short, it should be the foundation of any and all advertising that you do for your office. 8. Your competitors are already doing it. It would be a mistake to believe that your competitors are not investing in SEO. Even if they are actually not working on a search engine optimization strategy, they soon will be. It is becoming clearer and clearer just how important it is for even the smallest offices (or, perhaps, especially the smaller offices) to have a healthy SEO campaign. The best way to get ahead of your competition is to start your campaign now. When it comes to SEO, the earlier you start, the better. If you are looking for a way to draw patients away from your competition or simply to make sure that you remain the dominant office in your area, dental SEO is a great way to do just that.